We completed the prestigious Goldman Sachs 10,000 Small Businesses program. To get into this Goldman Sachs program, a small business must be selected after a strict application process that includes a 5-year business plan and pitch. Small businesses from all 50 states, Washington D.C., and Puerto Rico compete. In 2018, small businesses accounted for almost 30 million companies in the U.S. More than 581,000 of these small businesses are owned and operated in Maryland. Illumine8 joins just 167 businesses to be chosen from the Baltimore area since 2017, according to Aaron Moore, alumni manager of the 10,000 Small Businesses program at Johns Hopkins University. 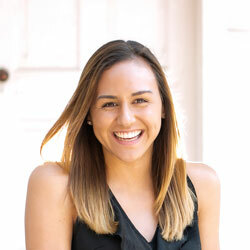 “This program is so special,” said Christina May, CMO of Illumine8. “10,000 Small Businesses is a program that gives us the tools and resources to further our mission and allows us to make a tangible difference for our clients and community in a more impactful way." According to Goldman Sachs, small businesses are the engines of job creation and economic success in America. Small businesses are defined as a sole proprietor, LLC, partnership, or corporation with less than 500 employees, according to the U.S. Small Business Administration. In fact, with our growing staff, we’re a part of the top 2 percent of small businesses (5.7 million) in the U.S. in terms of employment — and even higher in Maryland. That’s why Goldman Sachs created this philanthropic program: To empower bold entrepreneurs with the tools and resources they need to create more jobs and to continue increasing local economic opportunity. Launched in 2009, this prestigious program “is a $500 million investment to help entrepreneurs create jobs and economic opportunity by providing access to education, capital, and business support services,” according to the program's latest progress report, developed by Babson College in Wellesley, Massachusetts. The 10,000 Small Businesses program (also known as 10KSB) is funded by Goldman Sachs and the Goldman Sachs Foundation. For Maryland small businesses, Goldman Sachs partners with Babson College; Bloomberg Philanthropies; and Baltimore-based higher education organizations, including Community College of Baltimore County, Johns Hopkins University, and Morgan State University. "The Goldman Sachs 10,000 Small Businesses program and the now 167 alumni of the Baltimore site are without parallel," Kylie Patterson, director of economic inclusion at Johns Hopkins University, said. “Designed by Babson College — the nation’s top-ranked entrepreneurship school — the 10,000 Small Businesses curriculum focuses on practical business skills that can immediately be applied by small business owners,” according to the program’s website. The curriculum is organized into nine modules and four clinics geared toward small business management training. Each includes classroom discussion, peer learning exercises, skills building, and experiential applications at a local community college partner. 10,000 Small Businesses fosters economic development by providing growth-oriented entrepreneurs with the tools they need to take their businesses to the next level. “The 10,000 Small Businesses program shows small business owners how to become more bankable and position themselves to access small business funding and capital through partnerships with local, regional, and national community development financial institutions and other mission-driven small business lenders,” according to the website. 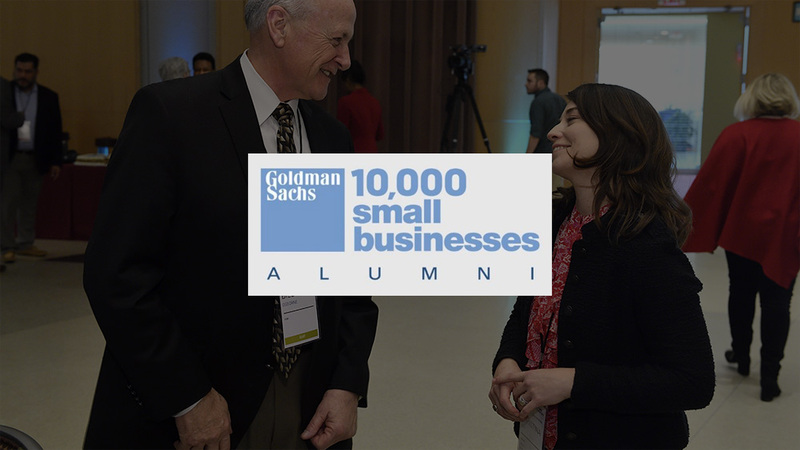 10,000 Small Businesses allows us to embrace the professional support from business organizations, executive leaders of Goldman Sachs, and a network of 10,000 Small Businesses alumni. This support helps us develop a strategic and customized business growth plan for long-term, sustainable goals. Thanks to this prestigious program, we’ll have the ability to use these tools and resources to take on a bigger role in the small to midsize business community. In 2019, we’re planning to reposition as a strategic marketing consultancy and develop two formalized services: sales enablement and customer experience management. This program will allow us to capitalize on growth opportunity and provide further economic value to our community.